The IWA was set up in accordance with the official Chinese Wushu association’s guidelines and was granted Recognised Governing Body status for Chinese Wushu Duanwei system in Ireland on the 25th Dec 2014. Its Constitution sets out the Organisational make up and management structure, with an elected Executive and Management Committee who are directly responsible to its members via a Member committee which meet at least once a year at an Annual General Meeting (AGM). We invite all Associations/Clubs and individuals to take part of the Chinese Wushu Duan System for overseas practitioners. We would also like to extend an invitation to you to join the ‘family’ of organisations already represented and become a full member of your sports, Governing Body. Promote the study and safe practice of Chinese Martial Arts and regulate as far as possible, the ever-growing numbers of clubs and organisations claiming to teach Chinese Martial Arts. Affiliate to, assist, co-operate with and support national and international organisations having objectives approved by the Members Council. Act as an advisory body on all matters appertaining to the practice of the Chinese Martial Arts, through liaison with statutory and voluntary bodies, news media and other relevant parties. Provide members with such services and support as may be available through their membership. Would you like more information on hours, classes and programs available at Irish Wushu Duanwei Grading Centre? Please contact the school with your questions. Update the details, Write a Review or Report Error of Irish Wushu Duanwei Grading Centre. This Chart shows the Martial Arts Styles offered most in Belfast, UK area. 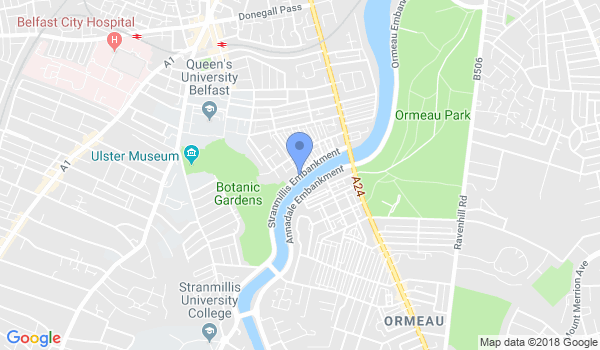 View a list of Dojo in Belfast, or enter your address below to find schools closest to you.